With this knowledge I want to impart some advice for parents bringing up children in this digital era. 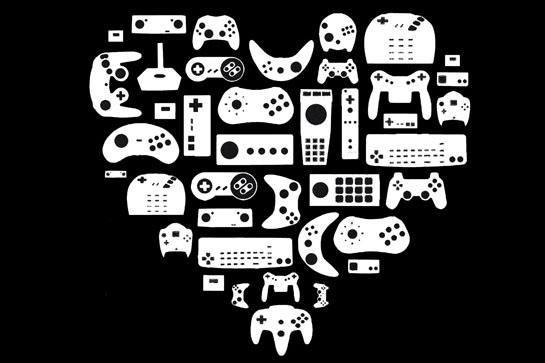 Parents who themselves are already gamers will know and understand most of these points but if you are unfamiliar with the medium then it can be a mystical and complicated concept to tackle. You cannot avoid it though. 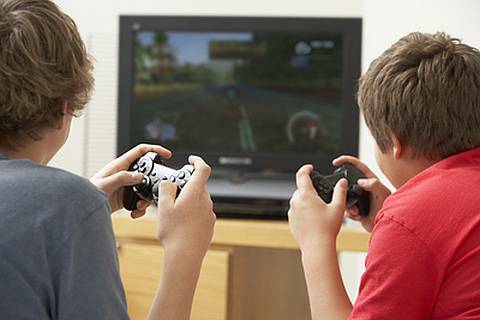 Your children will be exposed to games so it is vital that you give them the correct support because it is far too easy for games to create bad habits in children. It is essential to remember that games are not toys. There has been a perception for years that games are for children and, while some certainly are, you cannot view them as a singular entity. They are a form of media rather than a toy. You can get movies, TV programmes and books for children but can also get ones aimed at adults. If you wouldn’t let your children watch an 18 rated movie then don’t let them play an 18 rated game since they will bear that rating for similar reasons. To consider an 18 game somehow more child-friendly than an 18 movie because “games are for kids” is a massive jump in logic. That isn’t to say that kids should be banned from playing games rated above their age. Like with anything, this should come down to your own parenting style and how well you believe your child will cope with the experiences that mature games may give them. I played 18 rated games from a young age so to argue that children playing mature games is inherently bad would be hypocritical. Use your judgement. Oh, and if you buy your child a mature game then don’t like the content, don’t blame games because that is wholly upon your own head. The ratings are there for a reason so use them to inform your decisions. More than any other form of media though, remember that games are not a passive experience. When you play a game you are not just staring at a screen consuming content but are directly controlling events. You aren’t watching someone kill others but are actively doing the killing. You are in direct competition with others if the game is an online experience, your actions deciding if you or your whole team wins or loses a game. They challenge you skills and get your heart pumping more like a sport than a TV programme or movie. And let’s get this straight here, scientific studies have shown that there are zero correlations between violent video games and real world violence. The media loves to paint games in a negative light but it is just the newest scapegoat. Maybe older parents can remember stories of how movies were demonised in the past, or how books caused hysteria in women in previous centuries. 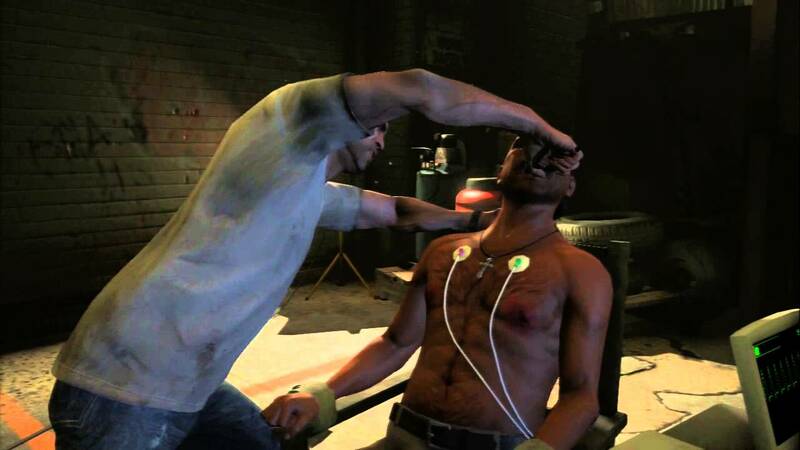 A notorious torture scene in critically acclaimed Grand Theft Auto 5. In fact, the studies show that games can improve reaction times as well as hand eye coordination. Games, just like anything else, are just a tool. Used correctly they can be a massive positive influence but if used wrong can reinforce negative habits. Why you should monitor your children’s gaming? As I said above, games aren’t passive. 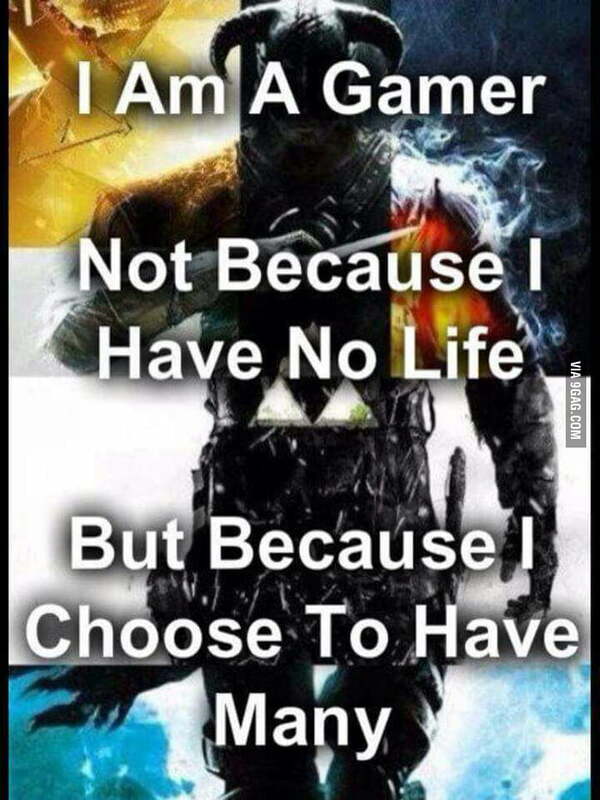 This is especially true with online games where you will be playing with and against other real people from all across the world. Everything is connected in a big community so it is vital that social etiquette is followed. Too often gamers get a bad reputation for harassment, poor sportsmanship and abuse. Let me tell you though, and this is important to hear, nine times out of ten this foul language and abuse comes from the younger members of the community. It has become a trope in gaming to hear the squeaky twelve year old screaming abuse down the microphone and this didn’t happen for no reason. This is because game bring out emotions. Games can make you feel angry, frustrated, competitive and all other manner of emotions. Again this is just like with sports where maybe your child is frustrated that they cannot learn a certain trick, angry that they missed a shot on goal, driven to wanting to win the match and devastated if they lose. The difference with sports though is that there are coaches, onlookers and a massive support network where children are taught how to cope with these emotions. They are taught showmanship and are helped to hone their skills. In gaming, even with the team games, your child will likely be sat alone in their room with nobody showing them how to overcome difficulties or handle these emotions. Please consider that as schools have become less inclined to engage in competitions for children, gaming may in reality be these children’s first experiences in a competitive field. They simply do not have the emotional or mental competency to deal with them because they have never learned how. These emotions can ever be turned into a driving force to help them improve like in sports or they can be left to stagnate and become the downright disgusting screeching that gives us all a bad name. Again to use the sports analogy, or perhaps a musical instrument, you don’t need to be good at it yourself, or even interested, to support your child in it. It is about the little things. A lot of this depends on the age of your child too. If you have a young child it is important that you don’t use games as a babysitter. Even if you are just sat in the same room watching and talking with your child you are making a bond. Maybe become their researcher if the need arises. Google any problems they might be having, whether it is getting through an area, beating a boss, finding an item or crafting a new weapon. Make yourself useful even if you can’t directly help out in the game. Child friendly game, Minecraft. Inspires creativity and adventure rather than mindless slaughter. Remember though not to intrude. You can be too heavy handed and succeed only in your child wanting to push you away further. Nobody likes a backseat driver and if you distract them too much and they lose they may resent you. Also don’t watch them like a hawk. You are aiming to spend time with your child and learn about their hobbies, not monitor their activity 24/7. The Youtube channel Extra Credits made a nice and simple video on this topic that might be worth a quick watch using this link. It is only a few minutes long so give it a go. If your child is older and has been gaming or a while without you input then it may be harder to force yourself into their world rather than helping to build it as can be the case if you start when they are young. It can be awkward trying to get close to them once they are teenagers, as someone not that long out of those teenage years with little in common with my parents I can certainly say that this is true. At this age though it can pay to be more direct. They are adults in training after all. Ask if you can play a game. You’re going to be terrible at it. You know it and they know it but maybe there is some entertainment in that. Perhaps they will play against you and revel in absolutely dominating an authority figure who is better than them at almost everything else or maybe they will put you on a hard or scary game and laugh as you fail. An important part of supporting your children at any age is not to stigmatise them for liking games. If you think they are antisocial then consider why. Are they socially awkward and get picked on a lot then maybe they are turning to games to escape. In this case demonising there one place of happiness is only going to paint yourself as they bad guy. Do they play online games with friends from other regions or even other countries who they would never get the chance to interact with outside of games? Do they simply enjoy playing? Why criticise them for doing what they enjoy? That isn’t to say let them do nothing but play games all day. Sure, set boundaries but be smart about it. Why would they want to turn off a game only to sit in the main room watching TV instead? Offer them alternatives. Go out of your way to try and find outdoor activities or family activities that they will actually enjoy. As a parent, you hold the keys to gaming. Consoles/PCs are expensive, as are the games. Use games as rewards rather than as punishments. Maybe tie them in with school work. You’ll be amazed at how enthusiastic and engaged children can be when asked to write about a game they love. Get them to write reviews they can post online or examine a certain aspect of the narrative. Writing an essay on “Women in Shakespeare” is hell on earth but an essay on “Women in Games” suddenly connects into their interests while requiring all of the same methodology and work. Children will play video games. This is the undeniable truth of the modern world. As a parent it is your responsibility to ensure that they are playing appropriate games in a safe, supportive environment with the skills to grow rather than rot. 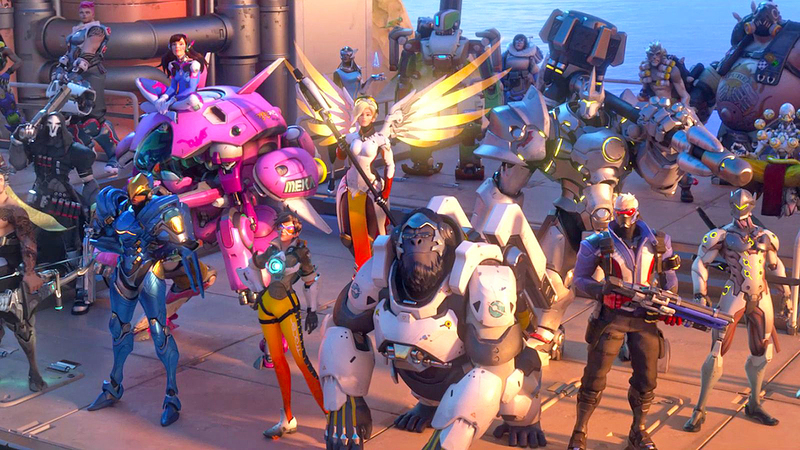 A new generation of family friendly shooter is represented by the colourful and diverse game, Overwatch. It isn’t about playing games or becoming an expert but simply showing an interest. Link games into other subjects to broaden their world. If they are playing war games then go to a war museum or watch an age appropriate war movie. Realise that it isn’t just you who is influencing your child but all of society. Peer pressure can be a really big factor when all of a child’s friends are playing a game so learn where your own boundaries lay when it comes to buying new releases or letting your child play games you may not think are suitable. On the topic of price, find what games your child is looking forward to so you can budget. Set a schedule of a new game every ‘X’ amount of time and discuss what game your child would want in this period. This encourages your child to think more about what they really want from a game so they can prioritise one over another and teachers some financial responsibility. Don’t be afraid to make them work for their games either, nothing over the top but rewards are a key game mechanic after all. Do the boring fetch quest to get the cool weapon. Try gamifying reality to make chores more palpable. In the end, the approach is going to differ between families. Learn what works between you and your child. Just don’t be afraid to try. Segregating yourself from your child’s gaming holds no positives and many potential negatives while just being there can help to create a strong bond while enforcing positive behaviour. Games are many things: tests of skill, competitive sports, engaging stories and fun pastimes but they are never a substitute for parenting. Older people hate millennials as the TV Generation raised on bad programmes so learn from their mistakes and don’t leave a screen to be your child’s primary socialisation. Embrace the technology but make sure that you are there for your child too. ← Nier Automata – First Impression Review.